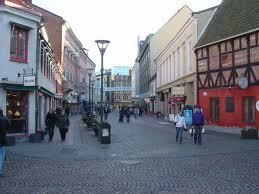 Sweden used to be a country Jews found refuge in when facing deadly anti-Semitic attacks in Europe. This isn't the case anymore. With the influx of many Muslims over the past several decades, they are now the brunt of attacks. 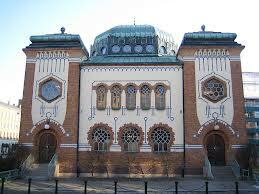 There are now about 2,000 Jews left in Malmo, Sweden's 3rd largest city, with about 600 as regular synagogue goers. If a male Jew wears a kippa ( small round head covering) on the street, he most certainly will be accosted by the Muslim population there. Sweden was once thought of as a place for multiculturalism, but this has besmirched their record and their ideals. Hate crimes are on the rise, and not committed by the Jews. They are the ones being attacked. "Typically, but not exclusively, the perpetrators of anti-Semitic hate crimes are "young men with roots in the Middle East," according to Jehoshua Kaufman. Around 1/3 of Malmo's 310,000 residents are foreigners with the largest minorities coming from the Balkans, Iraq and Denmark. In 2012, 66 anti-Jewish crimes were committed with 60 reports made to the police. 31 occurred in Stockholm, the largest city of about 900,000 residents. For 2013, 35 attacks were already committed. A hate crime occurs when one person intentionally subjects another to offensive physical contact, threatens or inflicts physical injury, or threatens or causes damage to the property of another person because of their race, color, religion, sexual orientation, gender identity or national origin. A hate crime may also target a person's family member. Many Jews have already left Malmo for Israel, a country that was created for Jews who have been affected by anti-Semitism. It is not easy for anyone to give up jobs, homes and neighbors and move to a new land with a different climate and language, for in Israel everyone speaks Hebrew, which is a different matter from reading it in prayer books. However, most Swedes are already bi-lingual, speaking Swedish and English, so the young ones will pick up the language easily, but not the older ones. If they speak English, they should move to the larger cities where others do, too. Jews living in Germany before WWII also had to make this decision of whether to leave or not. Then, they did not have Israel as a refuge but had to rely on the whims of other countries as to whether or not they would give political asylum to Jewish refugees. Many countries, especially in South America, refused to do so. Many Jews thought such new rules and regulations would eventually blow over as people came to their senses. They never did, and we had 6 million die horrible deaths. Even the USA had strings attached to taking in Jewish refugees. Then, the door was closed in 1939 in Germany and Jews couldn't escape from there at all. Orthodox men are the objects of torment from the Muslims as they are easier to spot. One such person is Shneur Kesselman, an American orthodox rabbi who dresses in his traditional Hasidic black suit, fedora hat and wears a beard. He is of the Chabad group. He has been insulted and has had things thrown at him right on the street in Malmo so many times that he has lost count. The young Muslim guys that are doing this come from countries where they are taught to be racist and anti-Semitic through their family, education and their audio-visual culture such as TV. Ala-Eddin Al-Aut, head of Sweden's Islamic Association, said the group were changing attitudes after getting Muslim organizations to address anti-Semitism in their Friday sermons. Some signs have now been banned from its anti-war demonstrations. Al-Qut distinguishes between Jews and Israelis. Evidently with him it's okay to hate Israelis and to show it. This gives little assurance to the Jews. It seems like the only reason the rest of Sweden is concerned about all this is that others will call attention to their bringing in too many Muslims into their country. The Jewish community finds that anti-Semitism is not limited to just Malmo but is happening in Stockholm as well but is just more visible in Malmo because the city is more compact and has a less segregated center. If could also be that many of the Muslim families were directed towards Malmo as the immigrant center being many Jews had been living there who came as refugees from WWII. Now the Jewish residents are faced with the same old anti-Semitism from a new batch of people, but had also been influenced by Hitler. Sweden has been faced with this problem for several years, now, and nothing seems to be done about it. The only good thing is that Iimar Reepalu is now a former mayor of Malmo. Katrin Stjernfeldt Jammeh is the new mayor. She said that schools were providing special training for teachers to combat this anti-Semitism. An ugly thing happened, though,when the local youths in Velinge, a middle-class town with few immigrants, but on the outskirts of Malmo were found shouting Nazi slogans at people who were attending a weekend event for children at a Jewish recreation center, something like our Jewish community centers in the states. These young hoodlums were throwing eggs at the building. Perhaps this behavior did not stem from their families but was influenced by the Muslims of Malmo as a copy-cat type of learned or admired behavior. So, evidently the educational aspect is not enough. Is anyone being punished for such behaviors? An explosion ripped through the Jewish community center last September and security has been upgraded. Arrests were made for committing a hate crime. 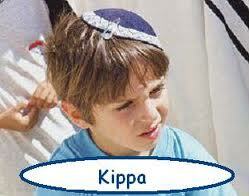 One way the Jews are fighting back is with Kippah walks that were started in December 2011. This was in reaction to the persecution and intimidation that the Jews were experiencing. 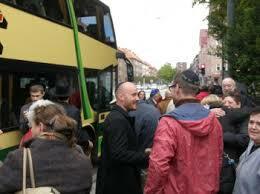 Other Swedes are joining them in this walk, and all wear a kippah. The sad situation is that the Swedish politicians are not taking such anti-Semitic acts seriously enough to really act on them.